When the events described here took place in 1955, I realized immediately that it was an unusual story to say the least, and that it deserved to be told. However, I was not authorized to take it public; my last reading from the Pentagon was that it was likely to remain secret for as much as five years. So I waited five years. I waited ten. Then twenty, and thirty. Finally, after 41 years, the story did go public in Norway, in full detail. Having a keen memory of the events, as well as many notes, records, and photos, I was then able to put together a manuscript, get it reviewed by fellow participants, and finally in 2006 publish a book titled The Cold Coasts. The star of the show was the motor cutter Godønes, 85 feet long and with berths for up to 19 men. 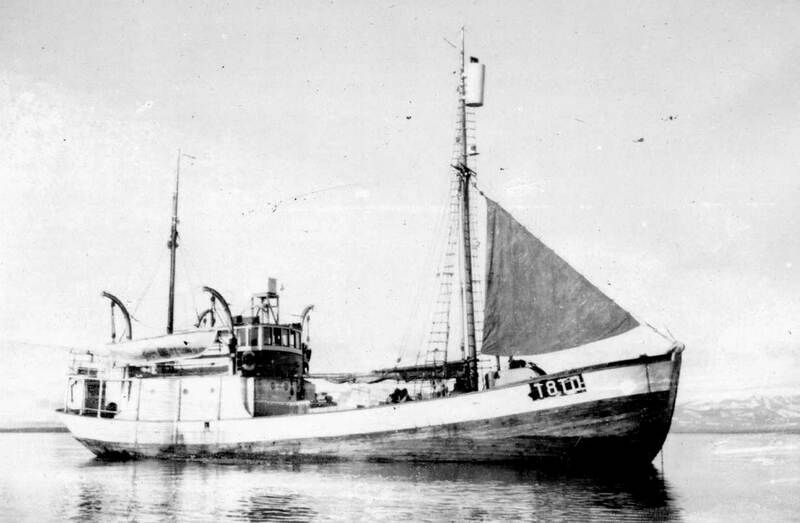 Known as a “polar vessel” or “sealer,” she was designed for expeditions lasting two or three months at a time into the Arctic pack ice to hunt polar bears and seals. 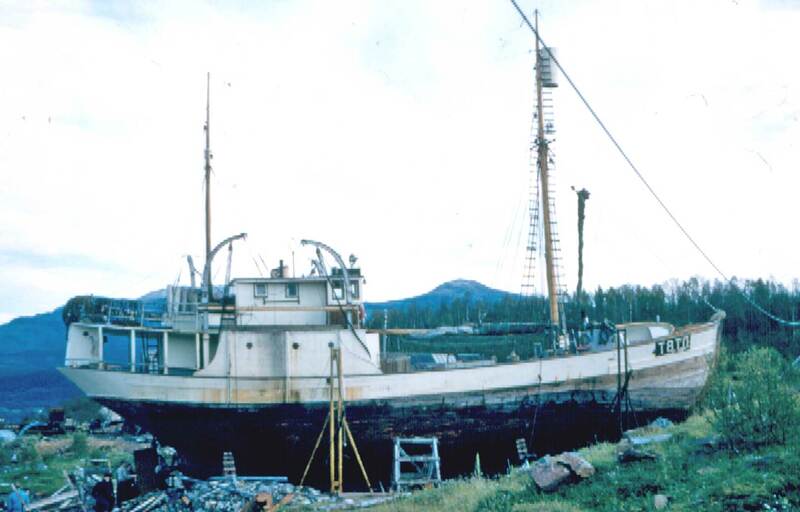 Vessels of this type had sturdy wooden hulls, which tended to bounce off ice chunks that would have cut into comparable steel hulls like a can-opener. During midsummer festivities, the Godønes slipped out of the Bergen navy yard and headed north. For five days she sailed along the spectacular Norwegian coast. 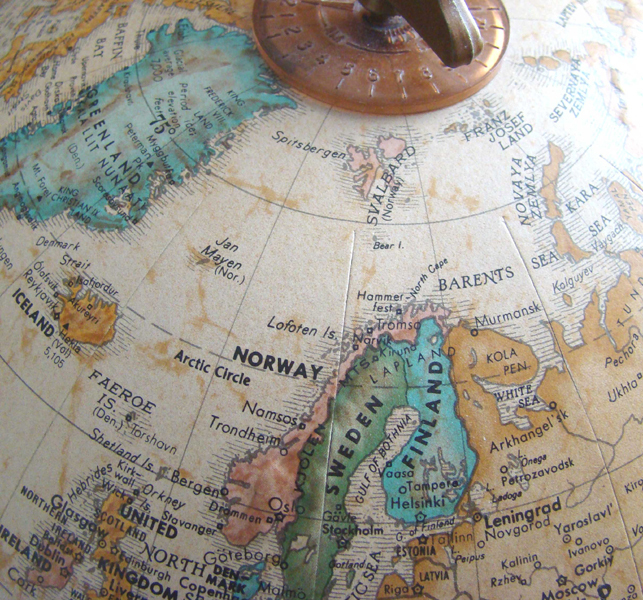 The accompanying photo of a globe shows the region where this mission took place. Near the northern tip of Norway, 900 miles from where she began, the Godønes rolled and tossed at anchor, buffeted by a cold wind and a choppy sea. She was ready to leave the protected coastal waters and cross the open sea, still headed north. In her parting view of mainland Norway, the Lyngen Alps stood bold and beautiful (photo courtesy of Odd Magnus Heide Hansen). To this point the voyage might have seemed ordinary. Now some remarkable things took place. Electric generators and radio antennas were uncrated. The skipper was allowed for the first time to enter his own cabin, where he saw stacks of electronic equipment. He learned that the ‘scientific expedition’ for which he thought the ship had been leased was, in fact, an intelligence mission. There would be electronic sweeps of Russian coal-mining settlements in the Norwegian territory of Svalbard, and then along nearby coasts of the Soviet homeland itself. While in Svalbard, teams would be put ashore to look into the possibility of building large airfields and developing harbors to supply them. It was impressed upon the skipper that this was a dangerous mission and that Russians might capture the ship. In such a case, the people on board should expect to end up in Siberia. The year was 1955. The Cold War was in full swing. Remarkable things like this often happened during the Cold War. Sixty-five days after she sailed from Bergen, the Godønes limped back into the port of Tromsø, mechanically disabled and under tow. 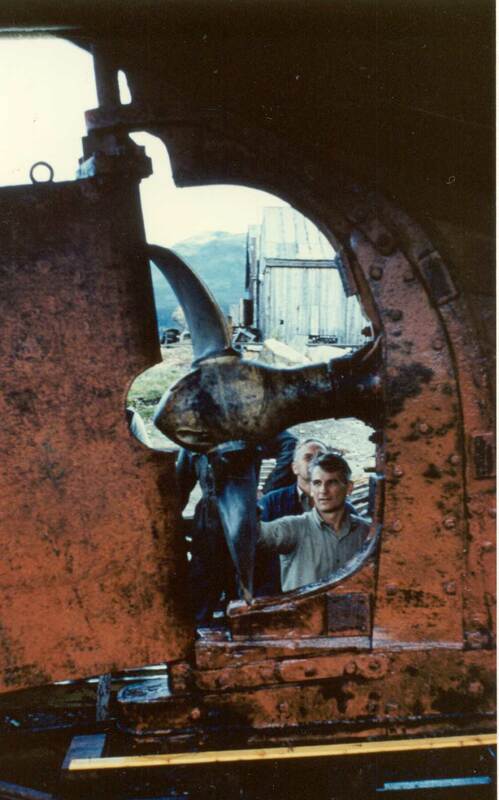 The Godønes is shown below in a shipyard for repair, and the photo at right shows the damage – bent propeller shaft, propeller blade lodged against rudder – that made the tow necessary. The distance towed was 600 miles, and it took 10 days. That works out to an average speed of 2.2 knots, or 2.5 miles per hour. Crewmembers would have avoided such a large ice floe, but one of the Norwegian military people did a stint as guest helmsman. He must have been thinking, “Let’s see what this baby can do.” We rammed the ice at full speed. The ship rode up onto the ice, sat there for a moment, and then broke through. In the resulting turmoil, the propeller stopped turning and couldn’t be started again. There were 15 men aboard: The skipper and crew totaled five. There were five other Norwegians – military intelligence officers and electronic specialists – and five Americans. 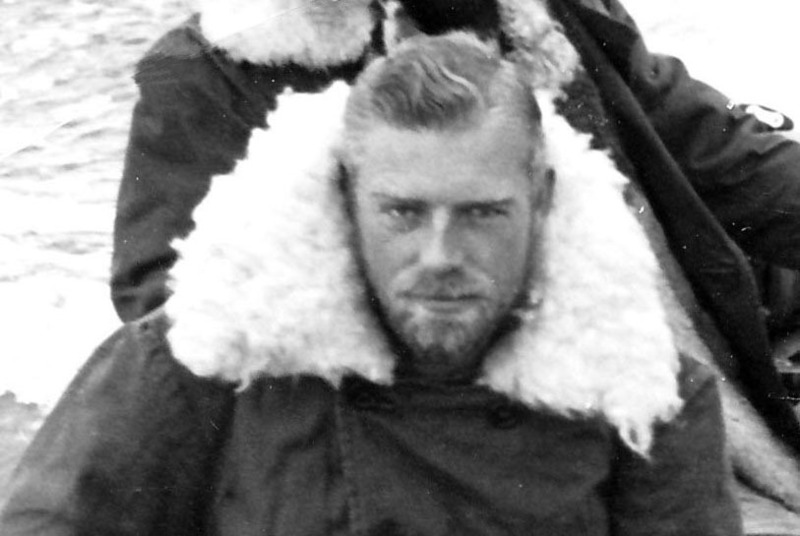 Leiv Isaksen was skipper of the Godønes. An excellent seaman, he was always alert for things that might go wrong. His eyes fascinated me as they flashed from sky to sea to ship and to each of the people in view. Thanks to this alertness, he survived a hazardous career to die of natural causes at a very old age. He was famed for having performed difficult rescues at sea. 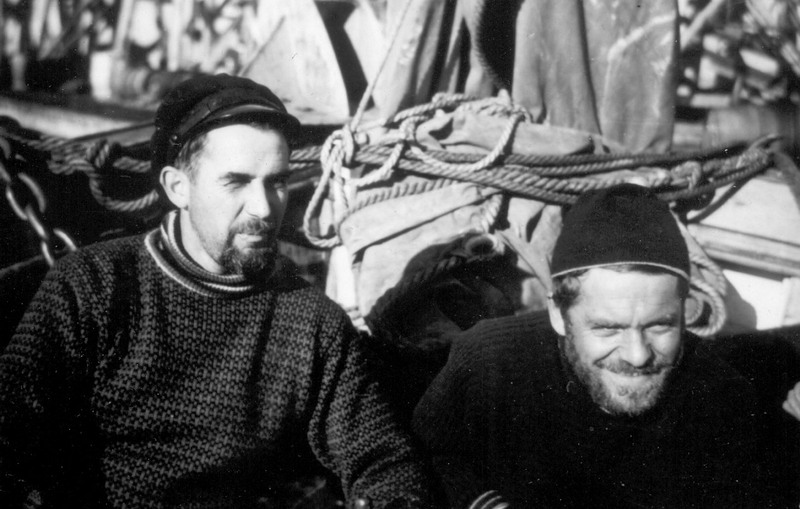 Bjarne Thorsen was the expedition leader and a lieutenant commander in the Norwegian navy. During World War II, he had been a resistance fighter and spy against the Germans in occupied Norway. He also served on the British naval frigate Nene. After the war, he ran many intelligence operations against the Soviets. Tore Snefjellaa was a full commander in the Norwegian navy, a colleague of Bjarne, and with a similar history. He was a last-minute volunteer to come along as field assistant, because he simply loved going to Svalbard. 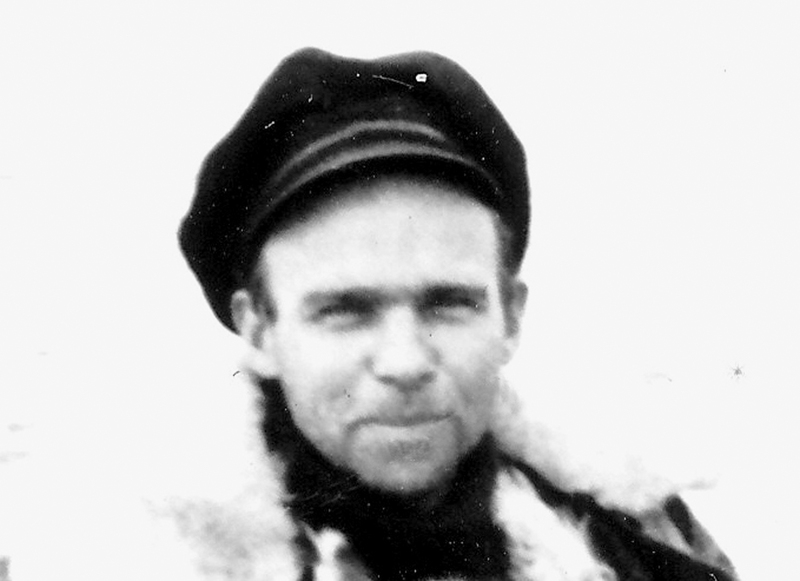 Frank Arnesen was a lieutenant in the Norwegian Air force, trained as a radio telegrapher and Russian interpreter. He assisted me in field work ashore. We became close friends and remained so for the rest of his life. The Norwegian electronic specialists included a leading designer of electronic intelligence gear, and his assistant. 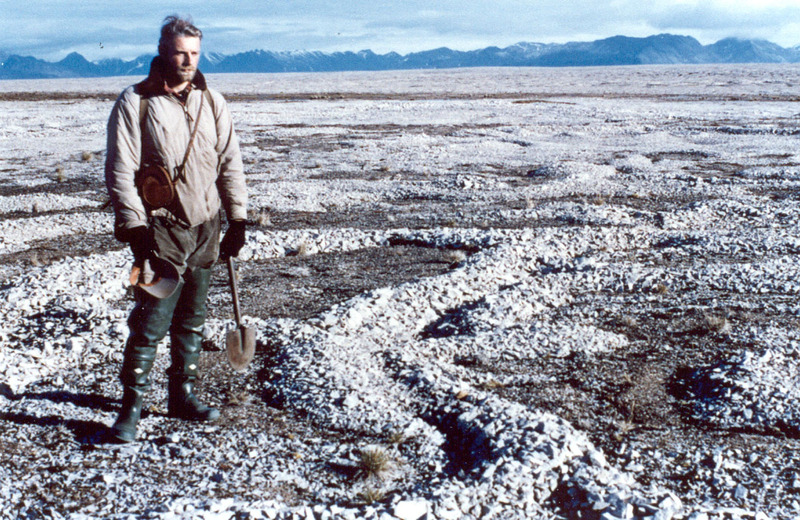 Among the Americans, Bruce Johnson was a marine geologist. We were concerned that any recommended airbase sites should be accessible by sea. Bruce studied navigation conditions and sites for ports, harbors, landing beaches to supply each of the recommended sites. The three Americans concerned with electronics intelligence, unfortunately, cannot be identified here. Fritz, the technician who installed our equipment and kept it running, never revealed his employer, and never presented his face to a camera. Fred and Doug, captains in the Army and Air Force, respectively, accomplished so many misdeeds in the story I have told that I don’t dare reveal their true names or their pictures. I was the fifth of the Americans, a geologist employed by the U.S. Geological Survey. My assignment was to locate and describe sites suited for the construction of large airfields. From a study of maps and aerial photographs, I had selected eight study areas where sites might be found for runways of 10,000 feet or more. I hiked over all eight areas, making an engineering geologic reconnaissance, and I hauled back hundreds of pounds of soil samples for testing by the Army Corps of Engineers. The best sites were all on raised beaches that, here and there, fringed the mountainous, glaciated interiors of the islands (a raised beach appears in the foreground of the aerial photograph shown below at left). My top-rated site was at a place called Kvadehuksletta, on the west coast of West Spitsbergen (at right). 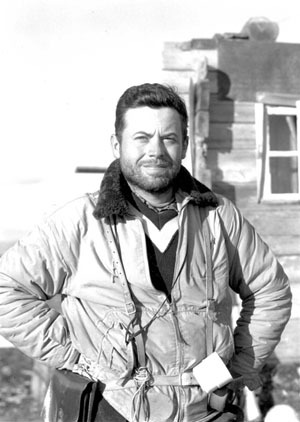 The next summer, in 1956, two Norwegian brothers named Pedersen visited Svalbard and agreed that Kvadehuksletta was the best site for a large airfield. One brother was a military officer, the other an official of Scandinavian Airlines System. They proposed that SAS be permitted to build an emergency landing field there. This was negotiated with the government and various leaseholders for the next two years. In 1958, the Soviet Union made an official protest, claiming that the landing field could be used as a military airbase. The Svalbard Treaty prohibited any military use of the land. End of subject; silence and secrecy prevailed until 1996. The story went public in 1996 through a series of newspaper interviews with the skipper and with Frank Arnesen. Frank thought that the Norwegian government authorized this release for political reasons, namely to embarrass the party that had been in power in 1955 and had allowed these things to go on. If that was the motivation, Frank provided the bombshell that was needed. He claimed that explosives were aboard, set to go off if Russians approached. This would sink the ship and the secret electronics, and would leave the men to fend for themselves in icy water. For reasons given in my book, I believe this was a false rumor cooked up by the crew, but I certainly can’t prove a negative. The issue is still being debated in the Norwegian press, about both the Godønes and other ships on similar missions later. This has led to heart-wrenching interviews with seamen, making such statements as “They played with my life, and I didn’t even know it.” And today, nobody really knows. This posting is an updated selection from my book, The Cold Coasts (Kindle, Paperback, and Hard Cover). This entry was posted in Travel Adventures and tagged Arctic, Arnesen, Cold War, Electronic intelligence, Isaksen, Kvadehuksletta, Norway, Snefjellaa, Spitsbergen, spy, Svalbard, Thorsen. Bookmark the permalink. Hi, Jim. I would like to get in touch with you. I’m a Norwegian journalist, and have some questions regarding one of the Norwegians you worked with. I am sending you my email address. Jim B.